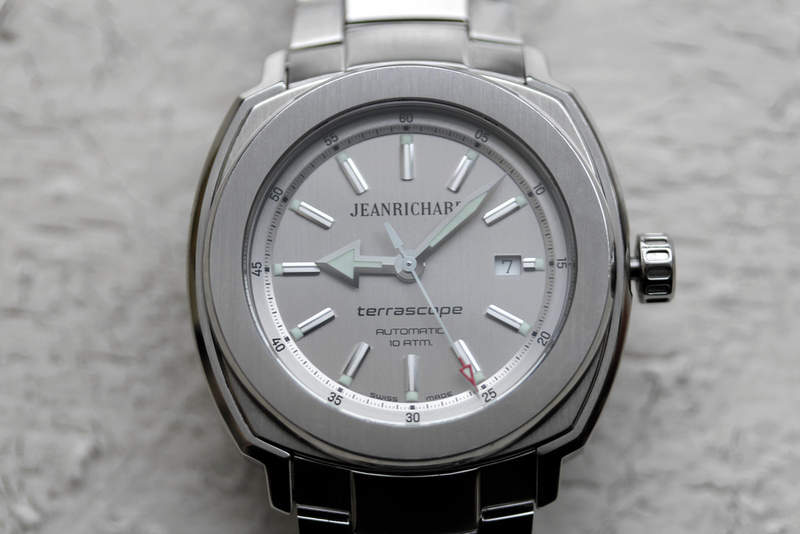 For JeanRichard’s final showing at SIHH (they will be exhibiting at Baselworld beginning in 2013), the La-Chaux-de-Fonds watchmaking house introduced two new collections, the Highlands which was discussed here, and the Diverscope LPR. The Diverscope LPR is a diver’s watch with a linear power reserve indicator; but unlike most power reserve indicators which display the remaining power reserve on the subdial, this one displays it inside the 12 o’clock Arabic numeral. Like a typical fuel gauge, it displays full to empty, vertically. 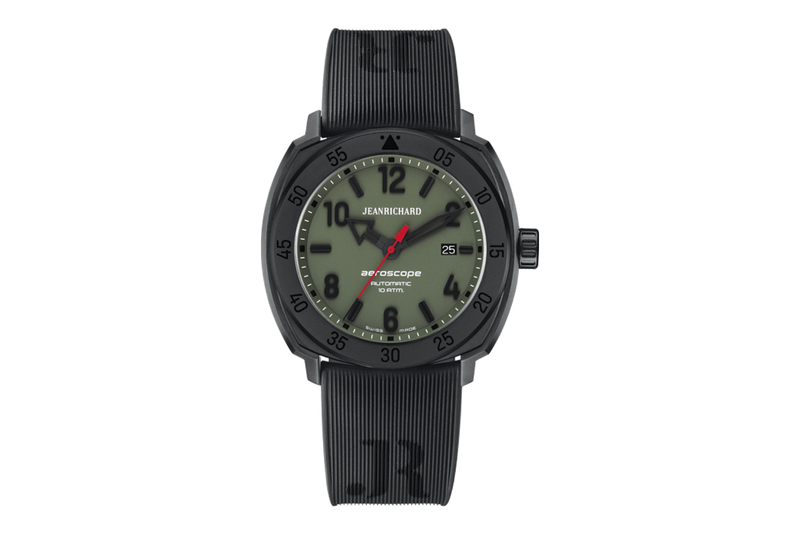 The Diverscope Liner Power Reserve is powered by a caliber JR1010, a variant of the brand’s base caliber JR1000 in-house movement, which reflects the addition of the power reserve. The self-winding movement has 26 jewels, a frequency of 28,800 vph (4Hz) and a 48-hour power reserve. It features Cotes de Geneve, bevelling and perlage finishes. Functions include hours, minutes, seconds, linear power reserve and date. The steel case measures 43 x 43 mm; it has a solid case back, dual screw-down crowns and a water resistance of 300 meters. 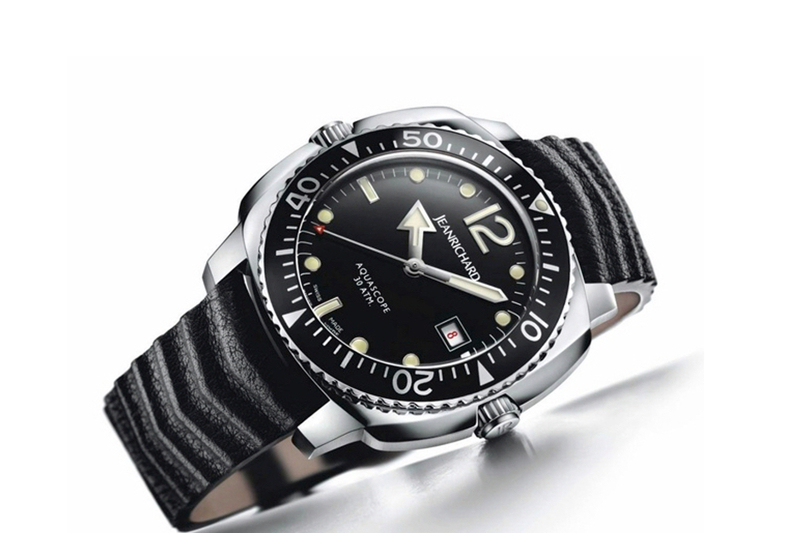 An internal bi-directional dive bezel can track elapsed time and is controlled by a dedicated crown (at 9 o’clock). Comes with both a black rubber and black fabric strap, with steel folding buckles. The retail price is $9,935.